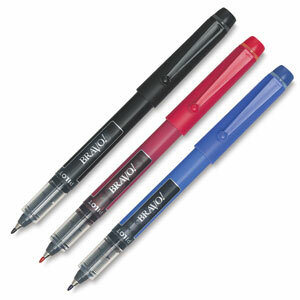 This bold point marker pen with smooth liquid ink technology is great for labeling and identifying your things. Water-based ink won't bleed through paper. The visible ink supply will not dry out even if you leave the pen uncapped.